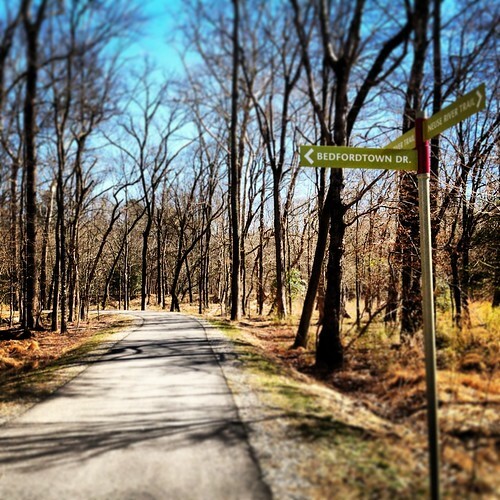 ← Sola Coffee 5K Run/Walk & Fun Run March 29th! 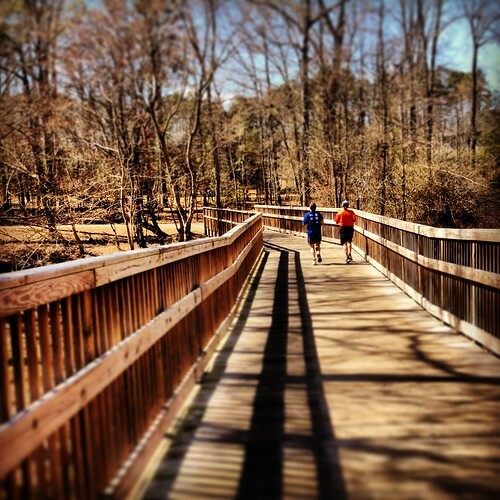 As I sit here writing my this training update fresh off an early five mile run, I am coming to grips with the fact that I am not yet ready for the Rock ‘n’ Roll Raleigh half marathon that is just three weeks away. Fortunately I am only doing the half marathon and not the full 26.2, but I am not as prepared as I would like to be by this point. I am not discouraged however. This is not my first half marathon and it will not be my last. I know I will be able to finish in under two hours and run injury free, but I need to let go the notion that a personal record (PR) is not within reach at this race. I’m ok with that. This is my first race of 2014 and I am going to have fun with it and use it to propel me into what I plan to make a great spring and summer of running. The Triangle weather has been all over the map this winter. One day it is a mild 50 degrees and sunny, the next it is 29 and spewing freezing rain. I am a fair weather runner and I let this affect my training sometimes skipping days when it was just “too cold” to run. I’d get a few miles in on the treadmill, but usually no more than 3 miles at a time. Now that I am in the home stretch I am committed to running four times a week no matter what the weather and making the regular runs 4 to 6 miles. My most recent long run was 9 miles and I am confident I can build up to 11 miles a week before the race and be able to taper into race day with rested legs. I am excited to race in the inaugeral Rock-n-Roll Raleigh race and think this race is just what I needed to kickstart my weekly running regime, albeit a bit later than I planned in the new year. It is actually a bit of a relief to know a PR is out of reach. It provides me the luxury the opportunity to take in the full race day experience. I will be relaxed and can take in the sights and sounds of race day. If there was ever a race to enjoy it is this one with the many cool bands that will be set up along the course. I am also planning to carry a small camera with me as I run and will snap some shots during the race to share in a post race recap here on the blog. I may not be as prepared as I had hoped, but I am still very excited to be participating in this race and am looking forward to warmer weather and a great year of running! 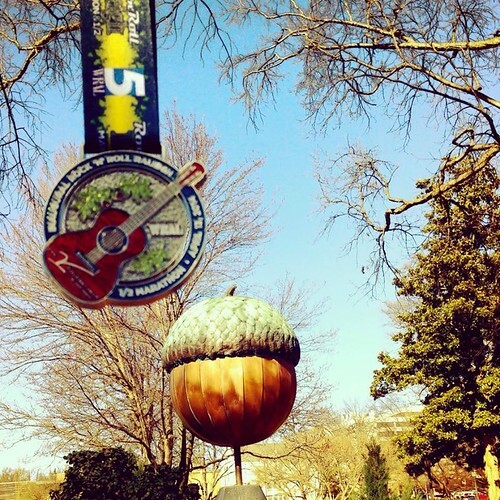 The Rock ‘n’ Roll Raleigh Marathon & Half Marathon is Sunday April 13, 2014. Even if you aren’t planning to race it is sure to be a great event to watch and cheer on the racers. For more information about the race and race day entertainment visit the official website here. This will be my first half marathon, and while under 2 hours might be achievable for me, it is not going to happen. I’m just proud to be doing it, and you should be proud that this isn’t your first or your last! It’s going to be fun too! It should be epic! Hoping for perfect weather to enjoy Raleigh that day. I was gonna run the full, but I’ve decided (almost 100%) to run the half instead. I am ready for the half, but a little disappointed in myself that I couldn’t be consistent enough with this weather to train for it. Oh well! This will be a blast! Jeff – I think it is great you and Liz are running the half. You both have been training so hard. You are going to have a great race! Runner1313 – Yes I am hoping we will finally have some nice weather race day!! Have a Great race! Cheriarmour – Totally understand where you are coming from. I have a few friends who made the same decision as you. I think it is a smart move to prevent injury. I struggled with which to sign up for and think If I had opted for the full I too would be looking to do the half at this point instead. Better to run healthy and be ready to run another day! Enjoy your race!